Right around the time that fans are expected to be clamoring for Masters golf tickets, the United States Golf Association (USGA) is expected to announce its ruling regarding the practice of anchored putting in its events. Anchored putting, which includes belly putters and broomstick handles that are placed against the chest, gives the golfer more stability through the entire put. 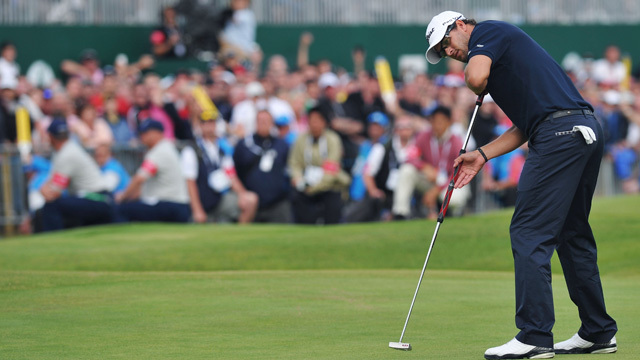 This practice has risen dramatically in recent years, as three of the past five major tournament winners have used anchored putters. Ernie Els, who long believed that anchoring should not be allowed, switched to a belly putter a couple years ago, and the switch helped him win the British Open last summer. He is now in favor of allowing the long putters, which should not be a surprise given how successful he was with it. Keegan Bradley, Adam Scott and Webb Simpson all also use an anchor putter, and the use of the club is becoming more popular every year. Other golfers, including Tiger Woods, have been outspoken about their opposition to belly putters. Woods believes that it does not follow the spirit of the original rules of the game, and that it is too much of an advantage to use. Both the USGA and the Royal & Ancient Club prefer to ban the use of long putters as well, with a proposed ban date of January 1, 2016 if the decision is made this spring. Meanwhile, the PGA Tour does not agree with the ban, creating an ugly situation between the main governing bodies of golf and the main professional tour, which does not have its own set of rules. If the ban is passed, the PGA can either begrudgingly accept the ruling, or permit non-USGA hosted events to allow anchor putting. No matter when the final decision is made, it is sure to be a hotly contested issue on both sides for the foreseeable future. This entry was posted in Golf Tickets and tagged master tournament, masters golf, masters golf tournament tickets, prominent tickets, the masters by promc58blog. Bookmark the permalink.